The 2018 International Geographical Union (IGU) Regional Conference - Canadian Association of Geographers (CAG) Annual Meeting - National Council for Geographic Education (NCGE) Annual Conference was an opportunity for all participants to appreciate the difference of various exhibitors, speakers, activities, etc. K2 Geospatial took part in this exciting event as a BRONZE partner. 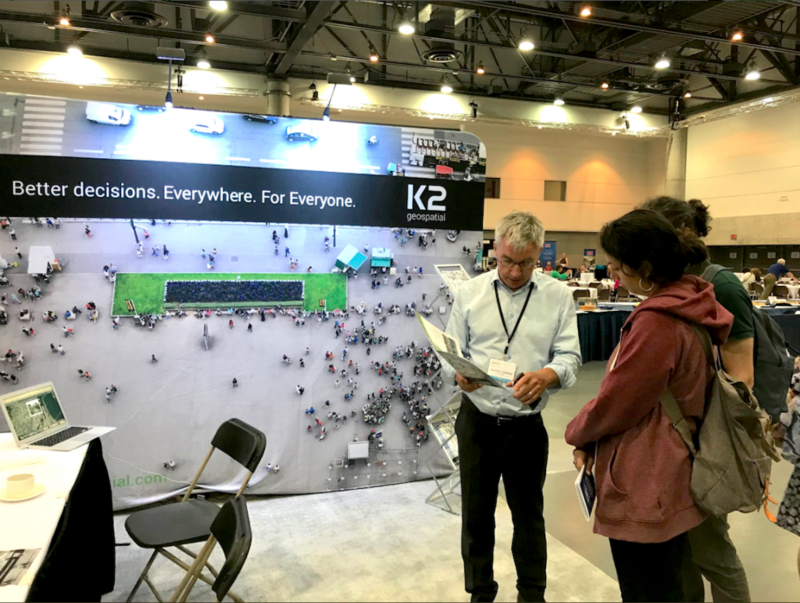 It is through 5 days that the K2 Geospatial team was able to meet dynamic participants, discover inspiring innovations and projects, as well as discuss with real geography enthusiasts.